all the general hacks and hints you’ll need to master Japan transportation, get around efficiently and see as much as possible in the time you have available. Public transport in Japan is almost always exceptionally clean and well maintained, that is the case whether it’s the latest bullet train or an old monorail from the 1970’s. It’s also very efficient, it’s exceptionally rare for a train, subway or even a bus not to run on time. I was somewhat surprised the first time that I heard an announcement in Kyoto station that apologised and announced the delay of my bullet train. The announcement was for the train running three minutes behind schedule, by the time the Japanese then English announcement played the train was already on the platform, to be honest by my watch it wasn’t even late. You absolutely need to know about the Hyperdia website. It covers most transport options available. You just plug in where you want to go from and to within Japan. Then select the date and time of day, and select or deselect any options you don’t want to use. For example if you are travelling with the JR Pass (which I’ll cover below) you’ll want to deselect the Nozumi Shinkensen option. You can use this website for something as simple as finding how long a subway ride between two stops takes, check the time for the last train back to your accommodation or look at all the options for travelling from one side of the country to the other. I use this site extensively for both pre-planning my trips and for checking options on the go when I’m in Japan. Like most things related to transport in Japan – it’s very reliable. The single biggest cost saver in each of my trips to Japan has been the JR Pass, it’s meant my travel in country has cost me half or less than it would have without the pass. There are a few tricks with it, mainly that it’s only available to those entering Japan on a foreign passport and the 90 day visa. You have to buy the JR Pass at home before you travel, it can’t be purchased in Japan. To work out if it’ll be good value for you you’ll need to have a reasonably good idea of where you are going and over what time period. There are various versions, a 7,14 or 21 day version and a standard or green (first) class version. The general rule is that if you are doing a return trip between Tokyo and Kyoto within a 7 day time-frame then it’s worth getting the card, this works for either the standard or green class. You can use Hyperdia to work out the costs of your key travel requirements if you are considering a longer time-frame or want to see how much you will save. You can’t use the super fast Nozumi shinkensen (bullet train) service with the JR Pass but it would only save you a couple of minutes anyway and everything else JR is covered including ferries like the one to Miyajima Island near Hiroshima. 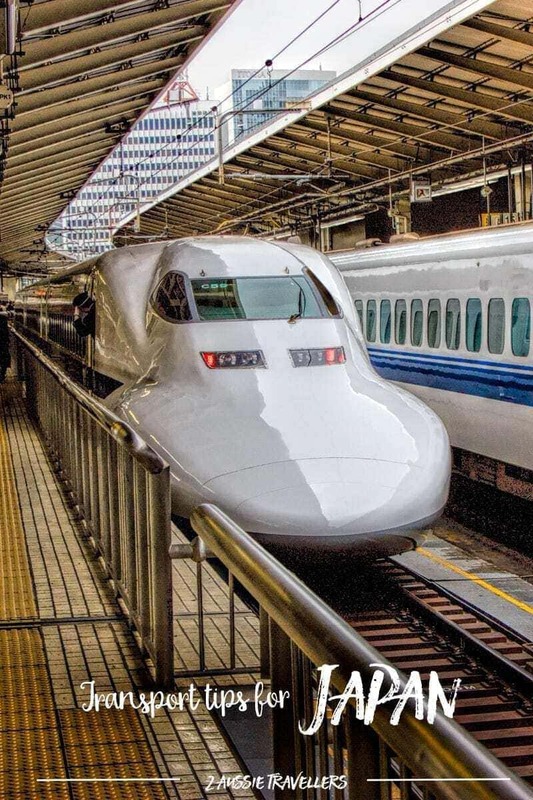 We get so many questions on this subject that we just added a dedicated post explaining everything you need to know about the Japan Rail Pass. Update: Japan Rail are currently trialing local purchase for the pass in a limited number of places, unless they confirm that the trail will continue and availability will be more widespread I won’t permanently update this article as most travelers will still find it worthwhile to buy the pass before they travel. Stored value cards for transport in Japan seem to be more about convenience than saving money but I wouldn’t be without one. We’ve been using the same PASMO cards for years and when we first got them there was quite a decision to make on which to get based on where we were going and where they could be used. Since 2013 that changed and these cards and a handful of smaller ones formed an alliance where you can used them almost interchangeably. You won’t be able to use them on every type of public transport but within the major cities of Tokyo, Yokohama, Osaka, Kyoto, Kobe, Nagoya and Fukuoka you should be able to use them on most trains, subways and buses. If I needed a new card now I’d probably get ICOCA as they can do a little more than the others outside these major cities. For example they work on the buses and private train lines in Nara, Hiroshima and Mt Koya. Your decision will more likely be based on where you fly into and where you want to start using the card. Icoca is owned by JR West so is the easiest card to purchase in Osaka and Kyoto. If you fly into Tokyo Suica is owned by JR East and Pasmo by the company that runs Tokyo Railway and the subway. You can buy a card and top them up in increments of 1000 Yen at machines in most stations. A few machines are in Japanese only but almost all have an English button and are very simple to use. I usually use machines in the bigger stations and top it up with what I think I’m going to need so I don’t have to keep doing it. If you end up with money still on your card when it’s time to leave Japan or you want the 500 Yen fee you paid for the card with the initial purchase refunded you can do that at machines or kiosks at larger stations that sell that card. I’ve not needed to do it but I’ve been told the easiest place for the refund is the machines at the airport. Our personal experience is that the cards work more widely than just these major cities, for example we used our PASMOs in Sapporo with no problem on trains, subway and buses. You can also use them on any local JR train in Japan. As an added bonus you can also often use them on vending machines and in corner stores like 7 eleven which is handy for a quick purchase. The notable times you can’t use these cards are for the airport limousine or highway buses, long distance trains and the Shinkensen. On some trains called ‘limited express’ you can pay the base fare on your card but need to buy a supplement fee ticket at the special machine. Think of these cards as being for local, around town transport. I’ll cover types of transport further in my next post but just a quick work on Taxi’s in relation to your budget. Taxi’s in Japan are very expensive even for a relatively short distance, think twice before you take a taxi from the airport to your city accommodation, it’s normally a very long and exceptionally expensive trip. We have used taxi’s occasionally in Japan for short distances such as a central train station to our accommodation with luggage but rarely use them other than that. Japanese taxi drivers are very honest, they don’t expect (or accept) tips but they also most often don’t speak English. This is further complicated by the Japanese system of addresses. If you think you might want to get a taxi back to the hotel later pick up the business card with Japanese directions from the front desk and keep it in your wallet. A hotel conceirge will always be willing to write out another address in Japanese if you need it to give to a driver. Another tip with taxi’s in Japan is that they are small cars, two large suitcases will be beyond the capacity of some although we’ve always managed when we need to. The two most practical options for getting to and from the airport in Japan are the train or the airport limousine bus service. The train is generally faster but you’ll need to get from the central station to your hotel either by walking, taxi or joining a subway or local train which aren’t designed for luggage. The airport limousine bus can be an easy option if your hotel is one of the stops on it’s circuit, especially if it’s your first trip to Japan it can just make your arrival a little more straight-forward. We’ve used both options and flown in and out of Osaka, Tokyo (Narita and Haneda) and Sapporo airports with no real problems. My preference is train from Osaka and Sapporo, bus from Haneda and either from Narita. These type of passes are designed for local and foreign tourists visiting certain areas. 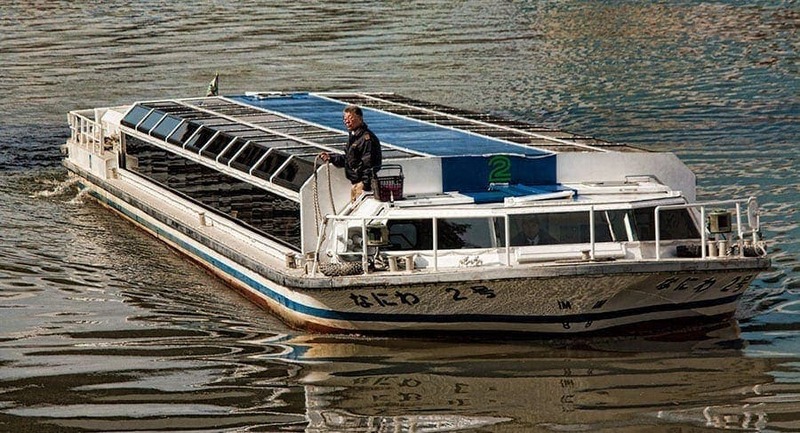 They often provide significantly discounted transport options and a range of included activities which depending on your interests and time available can be excellent value. Normally I’m not a fan of anything quite so structured but we’ve tried a couple when they worked for us including the Osaka Amazing Pass, Hakone Free Pass and the Tobu Nikko Pass. Each represented really good value for us and we thoroughly enjoyed each day. I’m assuming that because you’re reading my English language blog that you speak and read English, I’m not assuming that everyone does. I wish I spoke more than a few words of Japanese, travelling anywhere is enhanced by the ability to communicate and engage with the locals and in Japan that will be limited if you only speak English but you can get around and have a fantastic time, we have done it a number of times now and plan to go again soon. With transport you’ll find it’s easy to get around within, and to and from the main centres and more popular tourist areas. The train and subway signs for instance are usually also shown in bith Japanese and English, there are also English subway maps as well as free walking maps widely available. 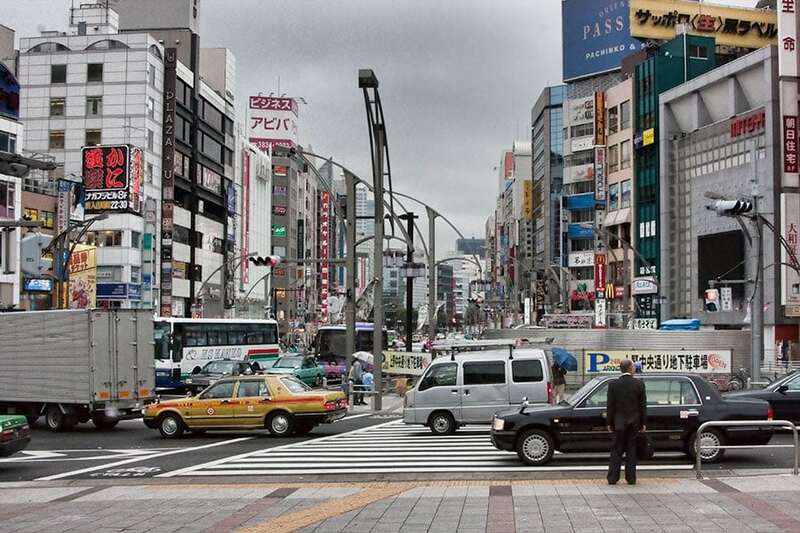 Do you have any top tips for transport in Japan to share? Please leave a comments, tips and experiences in the comments below. hello just found your blog on transport in Japan. Hi Kerry, in deciding your best options there are a few things that will be considered. How long you are there for? Are you doing a return trip between Tokyo and Kyoto/Osaka or one way only? Are you planning any day trips out of the cities? Hi! Thank you for your post!! I´d like to know your opinion in regard to our family trip this spring. Because we travel for work, we will be based in Yokohama for almost a month. During that time we will be visiting the surrounding areas incluiding Tokyo (3 or 4 times a week), Kamakura (twice during the trip) and Hakone (3 consecutive days). No long distance trips this time. So, still would you consider to buy de JP Pass? We arrive in Narita and depart from Haneda. Hi Dianka, I wouldn’t use a JR pass for the trip but you might find the Hakone Free Pass an option for your time there depending on what you plan to do. Other than that either an IC card as the locals use such as ICOCA, PASMO or SUICA are convenient but not discount cards. Thanks for your advice! Sure we will get our PASMO and discounted PASMO for the kids. We found out that since kids pay about half the fare, we need to ask for the kids card in one of the kiosk since they are not available in the machines. Cheers! Yes you will need the children’s ones from the kiosk, and take their passports to prove their age. I’ve been pouring over your blog for the past few days planning our trip to Japan in May and have found it very helpful so thank you! Just wanted to see what your thoughts are on our itinerary and the JR rail pass. Using the Hyperdia website you suggested to calculate the trips, I think it’s more economical to buy the JR pass (14 days), but wanted to see what you think and whether I’ve worked that out correctly. Hi Jessia. Thank’s for your feedback and using our site. I agree with your calculations, on the base trips you mention the individual tickets would be Y50,980 so that makes the pass good value, you may also get added value from airport to city trains, another day trip or some city trains depending on what you do on the other days. Have a great trip! Hi Jo, does the 7 days for Kyoto-Osaka-Nara-Kobe include the train trip to and from Tokyo? Thanks for your quick reply. Yep the 7 days will include the train trip to and from Tokyo as I try to fit the 7 day JR pass not sure its worth the price. Have you got any recommendation to travel from Tokyo to Kanazawa as I wont have my JR pass for that period? Hi Jo. Yes, the 7-day pass from Tokyo to Tokyo for the Kyoto, Kobe, Osaka and Nara trips is worth getting, it will save you money on that route. The 3 days from Tokyo to Kanazawa on the Hakutaka Shinkansen is Y27,840 return, if you were also planning to use the NEX into Tokyo (Y2820) that might be worth considering the 7-day pass at Y29,110. Just throwing another idea out there. If the sequence of the 2 nights in Tokyo between South Korea and the 7 day trip to Kansai isn’t fixed then the 14-day pass sounds like it would cover the Kanazawa and Kansai trips for Y46,390 which is a better saving. It sounds counter-intuitive as you won’t use it for those 4 days you are in Korea (unless it is useful for getting to an airport at the Japan end) but could be worth considering if it doesn’t conflict with other plans. Can you please let me know if its still worth to get JR pass or is it better just use ICOCA card? Also, travel within each area (Tokyo or Kyoto or Osaka)ICOCA card is it cheaper and more flexible? Thanks for the info – I am still weighing up the cost comparisson for my trip and whether to get a 14 day JR pass or not. Do you tink it may be cheaper to purchase these trips individually as we are having to pay for additional sections even if we do buy the JR pass? Hi Netta, the route Tokyo – Nagano – Kyoto – Narita would be cheaper with individual tickets than the 14-day JR pass. The trips would be around Y37,000 and the pass Y46,000. I am going to be travelling to japan in august and am not sure which train passes to get? I am going to be travelling around Tokyo for 7 days with a day trip planned to mt fuji and then onto Kyoto for another 7 days with day trips planned to Osaka, Hiroshima and Nara. Do you think it would be better value to get a 14 days JR pass or instead use the ICOCA card and top up as needed? Hi Aliya. Does the travel from Tokyo to Osaka, Hiroshima and back to Osaka or Tokyo, where-ever you will fly out from all fall within the 7 days? If it does the 7-day JR Pass will be the most economical option and then use individual tickets/ICOCA or an alternate pass for Mt Fuji or other trips from Tokyo during that first week. An option to consider is the Tokyo wide pass for that period, it is 3 consecutive days for Y10,000 and covers the various transport options you need for Mt Fuji which isn’t all JR. There are a variety of other places covered that you may want to use the pass for on the other 2 days if you decide to go with that option. Day 11-15: Kyoto (with day trips to Nara, and Hiroshima and/or Osaka). Would a JR Pass be convenient? Any other suggestion? Thanks Claudio. The 14 day JR Pass won’t be cost effective however the 7-day would be worthwhile if you used if from the day you leave Karuizawa for Kanazawa then the trip onto Kyoto and the return trip to Hiroshima, that would be Y39,720 value for Y29,110 price, you may also get additional value if you fit the Nara and Osaka trips into that 7 days. That would mean taking an individual ticket from Tokyo to Karuzawa which is around Y5700. There aren’t really any other passes that fit your longer distance trips but while in Tokyo I’d suggest looking at the Hakone Freepass if you choose Hakone and I have info on Nikko in this article. This is my first time travelling to Japan and I’m confused by the transport here. D1 – Arrived in Tokyo : Should I travel to Osaka straight/Spend 1N in Tokyo and travel to Osaka the next day? I’m planning to get JR pass and ICOCA card. Is it ideal? Much appreciated if you can advise on this. Hi Charlene, it would depend on what time we arrived into Tokyo but if there was time I’d go directly through to Osaka that day, especially as you have time to explore Tokyo at the end of your stay. I’d do it that way as it takes a while and extra cost to get into Tokyo from the airport, find and check into your hotel unpack, repack and get back onto the train the next morning. Although it makes a longer day of travel going from plane to train it means day 2 is started fresh and you can get directly into enjoying your trip rather than having a second travel day. The JR Pass is very slightly (Y250) more than the JR bullet train tickets from Tokyo – Kyoto – Osaka – Kyoto. Whether it pays off will depend on whether you are doing much in the way of side trips on JR out of Osaka or Kyoto. You will find ICOCA (or PASMO / SUICA) very useful on subways in Kyoto, Tokyo and Osaka and private railways which we use quite a bit in Osaka and Kyoto. If it helps the transport felt a lot less confusing once we started using it on our first trip than we had expected. was reading ur article regarding ur trip to Japan. Me and my husband are planning to go in September but still confuse on ow we do our itinerary. How does Jr pass works. And to use Hakone Free PaSS? I would much appreciate it if you can help me out. Is it worth it going to around MT FUJI? is it close to get there from HAKONE? What are your tips and recommendations? Thank you. Hoping for your reply back. Hi Leny, a good place to start would be our articles on using the JR Pass https://www.2aussietravellers.com/japan-rail-pass/ and the Hakone Free Pass https://www.2aussietravellers.com/hakone-freepass-value/. With the itinerary you set out it is unlikely that the JR Pass would be economical for your with one way travel between Osaka and Tokyo. You can use the JR pass to get to the gateway points to Hakone (Odawara) and Fuji 5 lakes district (Otsuki) but will use transport companies within the areas. There is another pass, the Fuji Hakone Pass that may work better for you than the Hakone Free Pass if you want to see both areas. Sorry havent done a indepth list yet but wanting advice regarding travel. There’s going to be 3 of us need to know if worth getting jr and local city cards too. Then Kyoto to mt fuji stay at onsen for 2 nights. Mt fuji to tokyo and 7 days there maybe 1 day trip out. When i plug it in places its around 1000 aus for single fairs but with jr pass around 1500 plus fees for local subway passes . Feeling getting around japan is confusing. Planning april 2019 at this stage. Hi Landy, it’s hard to say for certain from the info here but generally if you fly into Osaka and out of Tokyo, or complete the return trip over more than 7 days the pass won’t be economical and you’ll be better with individual tickets. Hi, I will be travelling to Japan from 2-9 October. We will arrive in Narita and fly to Australia from Osaka. I will be staying in Tokyo until 5 October and the rest will be in Osaka. Could you please kindly advise, if I need JR pass for this? What kind of pass that would be benefit for me? Or do I just buy Suica or ICOCA? What do you think of Keisei Skyliner and Tokyo Subway Ticket (one way)? You won’t need a JR pass for the itinerary you have planned, it would be more expensive than the individual tickets. I would use an IC card, something like a Suica or Pasmo as you can use those on a variety of transport options in the cities you are visiting and between the cities on the second half of your trip. They aren’t discount tickets but will be convenient. Whether the subway day tickets and things like the Keisei skyline + subway are worth while depends a lot on how much you will be hopping on and off the subway, where you are staying and where you are going. For heavy use they will pay off, if like us you ride a couple of subways but walk around a lot in those areas we usually find they aren’t a significant saving. You can plug trips into Hyperdia to be sure. Thanks for this great blog! I’m planning a trip to Japan for September 2018, to include Tokyo, Fuji 5 Lakes area, Kyoto, and Hiroshima (flying home from Osaka), but have a 4 day/3 night gap between Fuji and Kyoto to fill. I thought Kanazawa and Takayama would be a good choice, but the transport to make that sort of trip work doesn’t seem to make sense. What do you think? Is there some transport option I’m missing? Or would you recommend a different place(s) in between? We’re planning to get the JR rail pass, but I’m not opposed to long distance buses. The Fuji 5 Lakes area will be amazing. Our transport preference is generally the high speed trains but Fuji is a bit out of the way from the major lines and the easiest connection is back via Tokyo or Yokohama so that will already involve some backtracking before you head on anywhere else. I would consider the highway bus to Takayama (for example https://www.nouhibus.co.jp/english/highwaybus/ or http://bus-en.fujikyu.co.jp/highway/) for a night or two, then Nouhi bus to Kanazawa for another night and high speed train down to Kyoto from there. Another option is a night or two at Hakone, you can get the express bus to Gotemba and the Hakone free pass covers out as far as Gotemba and all the transport options for sightseeing in the area. We’ve been there a few times and the sights and onsen are beautiful. There is a bullet train station in the Hakone area at Odawara to continue on to Kyoto. Have fun with your planning, it sounds like a fabulous trip. Thanks so much for all this useful information. I’ve read it over and over…..off to Japan on Wednesday and feeling completely clueless though very grateful to have all your hints and tips – which I’ve paid attention to! The brolly for one will be staying behind. I think the Narita Express from the airport to Shibuya will work best for our accommodation (then a taxi), looked like a few changes with the Skyliner, not great with luggage. Will pop in and comment on return! Have a fabulous trip Pamela, I just got back from a short visit to Northern Japan this weekend and already can’t wait to get back there again! Hey thanks so much, on my way to Hakone now and have been reading through your trip, it is really helping me plan my day! Also, just wanted to let you know that the JR pass can now be bought in Japan at select locations for a bit more money. Cheers! Thanks for that Clare, I hope you had a fabulous day there. I’ve updated the Japan Rail Pass article for the trial of local sales, I’d missed this one, will fix it up tomorrow. Thank you! Phenomenal breakdown! I only laid over in Osaka for a few hours but goodness, I hear you on the exceptionally clean and well maintained….everything LOL. Cleanest place I have ever seen. Cleanest country. From bathrooms to everything. Thanks for sharing. Thank you for your valuable input with the questions asked for us first time travellers. If you were to travel from Osaka thru Kyoto, w Osaka as your base , 5 nights, 7pax, which mode of transport would you recommend, Suica, JR, KLOOK or your preference, thank you again. Hi Vicky, if you mean just travelling within and between Osaka and Kyoto I would use the Suica (or other stored value card). The JR Pass won’t be economic for trips of that distance and you can’t use it on the buses and subways which are the predominant way of getting around within the cities. is it better for me to stay at osaka 5 nights n travel to kyoto n back to osaka again or stay at osaka 3 nights n 2 nights at kyoto? we are going to visit universal as well. is it easy to buy the ticket there or buy online from here? planning to stay at osaka 5 nights n travel to kyoto from osaka but will not stay overnight at kyoto. what is the cheapest transportation i can choose? Hi Angelina, we normally stick to the bullet trains over that distance but with your itinerary the JR pass doesn’t look like it would be good value. You can buy a single ticket but if budget is a consideration then the Willer Express buses are an option, I’ve not used them but backpacker travellers have recommended them. You can book online in English, they are usually about half the price of the train or less and if you use the overnight option then you also save that nights accommodation arriving fairly early the next morning. It does leave you with the issue of what to do with your luggage until the night on the day you leave and from early the next morning but many places allow you to store it and collect / check-in later or there are lockers at train stations as long as you don’t have a huge suitcase. Hi, we will be in Japan in early December – we fly in and out of Tokyo Haneda. We will spend the first 4 days in Tokyo and then a late flight or train to Hiroshima. Hi Gillian. I would use the Shinkansen (bullet train) for the distance travel, we have flown internally in Japan, to Sapporo for instance, but most times by the time you allow to get to the Airport and waiting time and that Airports are less central than train stations we find the train is not much slower and it’s more comfortable. Using the bullet train you will use two main routes that join up in Osaka (or other mid stops like Kyoto or Kobe). You will need to change train there but we have always found they are well lined up and it’s quite and easy to do. The Tokaido route runs from Tokyo to Osaka, Odawara, the stop you want for Hakone is the third stop out from Tokyo. Then the Sanyo route is what you take from Osaka on to Hiroshima. Assuming you are using the JR Pass which excludes the Nozomi train you could take something like the the 5pm Hikari to Kobe, then have around 15 minutes to switch platforms, grab a bento or hot drink and get on the Hikari railstar. It’s all well signed in English (just watch the boards they switch frequently between Japanese and English) plus there will be English announcements to). Then continue on to Hiroshima, you’ll arrive at around 10.30 and there are several good hotels very near the station which we find convenient to stay at in Hiroshima. This site is in English http://www.hyperdia.com/ just put in your departure and arrival locations, untick the nozomi (and any other options you don’t want like flights or coach in the advanced section) and put in a preferred departure or arrival time and you’ll get all the options for your date and time of travel. If using the JR Pass you can pre-book all your tickets at the desk and they will find you the best options for the times you want and make sure it all joins up alright, we normally mention if we have luggage too large for the overhead shelf and they will put you at the front or back of the carriage where the storage is. Hope that helps, have a great trip. Thanks for all of your great reviews, these are very informative. My wife, 4 month old daughter, I are heading to Japan in January for 13 days. We’ll be in Tokyo for the first 4, then head to Kyoto for at least 5, then possibly somewhere for 2, then back to Tokyo for the last 2 or 3. I’m likely going to buy a JR Pass for at least 7 days but am considering 14 depending on other day trips from Tokyo. My question is, can you start the JR Pass at any point or does the clock start when you pick up the pass at the airport? I was considering the limo bus service from the airport to our hotel to start, then we use the 7 day pass for Kyoto and day trips to Nara and maybe Osaka. Also, do you have any other places you would recommend staying? As we are traveling with a little one we’re trying to limit hoping around too frequently. Hi David, yes activating the pass and the start date for the pass can be different so you can exchange the voucher at the airport or in Tokyo when it suits you and set it to start it on the day you plan to leave for Kyoto for example. If your hotel is on the limo bus route (or close to it) then that can be a very good option, we have used it from both Narita and Haneda on different trips and it’s a comfortable and relaxed option especially as you are travelling with a young child. Sometimes jumping on a train and finding your way to the hotel after the flight can be more than you really want to take on. I believe the decision to avoid hoping around bases and accommodation too much is good, especially for a first visit and with a baby. If you want to explore slightly further afield the JR pass and the great transport system means that is easy to do but with the extra luggage and routine that a baby requires having only a couple of base changes will make that easier. There is plenty to see in both cities and within a day trip distance from either. Hi – thank you so much for this blog! It has been so helpful. My husband and I are visiting Japan from 11/18-11/27. We fly into Tokyo and fly out of the Kyoto. We are spending the first 3 days in Tokyo and then the remainder of the trip in Kyoto with day trips planned to Nara and Hiroshima. We’re still unsure whether the JR Pass is our best option because we are not doing a round trip from Tokyo to Kyoto. The resources you’ve provided are great but we’re still so overwhelmed! Since we’re leaving soon any help and guidance would be awesome! Thanks! How exciting, your trip is coming around really fast. If you are spending the days within Tokyo you are more likely to use the subway that the JR network so that won’t be covered on the JR pass so the 7 days would be enough if you start it the day you move on to Kyoto. A 7 day pass is Y29,110 and the fares are approximately: Tokyo to Kyoto Y13,600, Kyoto to Nara return Y1,420, Kyoto to Hiroshima return (extra if you go to Miyajima) Y22,180 and Kyoto to Kansai Airport Y3370. The Hiroshima round trip is almost as expensive as the Kyoto-Tokyo one so it would be worth while to have it. There is also some convenience to having to just show the pass onto the platform and also to the free booking of seats. The pass would give you a total of Y39,150 travel or a Y16,970 saving. We use a PASMO pass in Tokyo and Kyoto for the subway, it’s a reloadable debit card for public transport, I don’t think it saves money but can make things quicker and simpler. The SEICA card works much the same way. If budget is a consideration there are cheaper ways to get from one place to another such as the overnight buses but I would use the bullet and express trains personally, the other options are much slower and chew up a lot of your limited time in the country. Hi ! Your posts are great and informative to read. Thanks. I want to ask .. we are a group of 8 people. We’ll be in Japan 30 Jan 2017 – 12 Feb 2017. We arrive in Tokyo at 9.30pm. We will stay overnight in Tokyo and next day plan to go to Osaka (3days) to Kyoto (2days) and back to Tokyo. Which would be the best pass for us ? We want to visit Mnt Fuji also. what would you recommend, a day trip after from Tokyo, so that we wont need to carry the luggage around ? and .. we will be arriving through Haneda Airport at night. What would be the best way for us to get to Osaka. Hi Vanessa, what a great group trip. If you are doing most of the travel in a 7 day period the JR Pass is usually worth considering. The price should be around Y29,110 and the individual bullet train tickets between Tokyo, Osaka, Kyoto, Tokyo would be Y29,470. That isn’t much of a saving but if you use the train for Mt Fuji in the same period or other side trips while in Kyoto and Osaka they will also be covered. We also find it more convenient than paying for individual tickets and you get free seat bookings with it which might be particularly useful if your group wants to be seated together. We normally would do side trips like Mt Fuji from a base so we don’t have to deal with luggage or change accommodation. We have done Hakone not Mt Fuji from Tokyo but will no doubt do Mt Fuji from there in the future. There are a range of options to get from Haneda to a Tokyo hotel, depending on where you are staying. At night on a first visit public transport might be a bit intimidating if you are tired and just want to get to your hotel. Another option is what they call the Limousine Bus Service which is a coach, very comfortable and they handle the luggage in and out of storage but not as glamourous as it sounds. It goes directly to some hotels others you will need to walk to one nearby or get a taxi connection a short distance. When we have used the service from Narita we usually pick a hotel that it does go to directly. Thanks for your reply. Hope you don’t mind helping me out here. My first time to Japan with the kids and I have been reading up about the trains but the names have been giving me headaches. I wish to travel in this route Tokyo – Kyoto (2nights) – Osaka (3nights) -Tokyo . The kids want to experience the bullet train. What would you recommend. There are a few JR passes. Which one should I get ? You have vast travel experiences in Japan. It would be great if you could guide me I the right direction. Our accommodation in Osaka is near JR Osaka Station. Hi Vanessa. As far as I know if you want to use a JR pass the only one that works for the Tokyo to Kyoto route is the original JR Pass (NOT east or west), and with your timing it sounds like the 7 days pass would work for you. You’ll use the bullet train (shinkansen) from Tokyo to Kyoto and back again, either the Hikari or Kodama service. From Kyoto to Osaka you might prefer the limited express or special rapid service, they are direct. In Kyoto and Tokyo the bullet trains operate directly from the central train station, in Osaka it is a separate station so a local train is required to get into the city. 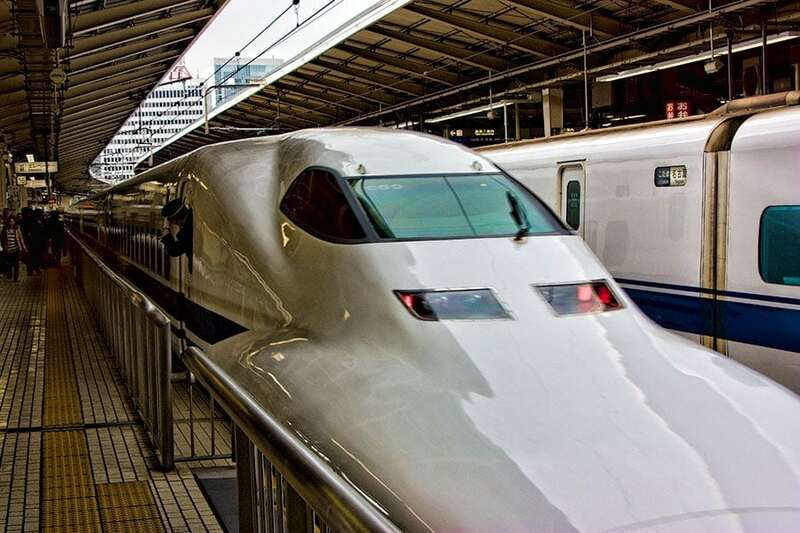 To use the bullet train from there back to Tokyo you can either take a local train from the JR Osaka station to Shin-Osaka (less than 5 minutes) or the limited express to Kyoto then switch there to the bullet train. I sounds fabulous what a great experience for your children too. Have a great trip and let me know if that doesn’t make sense or you have any other questions. Thanks so much for your reply. It does help me a lot. It will be my guide. Just a couple more questions tho. 1. We will be leaving from the Shinagawa Station for Kyoto. Because we arrive in Tokyo late at night and cant exchange our vouchers to JR Pass until next day. Would you know if we can exchange our vouchers at Shinagawa Station? 2. Can we reserve all our seats for the rest of the duration of our travel from Kyoto to Osaka to Tokyo? The kids are excited but no one can help me. So I want to get as much infos and plan ahead. I am learning more about Japan as I go but many things still puzzles me esp the train. Hi Vanessa, yes there is an exchange office at Shinagawa station, it’s open from 9am to 7pm. You can definitely book a number of trips all at once, we do it ahead because it saves time in the queue later and then we just work to that timing on the day. Have fun! Hi Could you please advise who you buy your JR Passes from in Australia? My travel agent is able to source them but then I noticed it would be cheaper to buy online just not sure which website to use. Thanks for your help. I have posted before and asked whether I need a JR Pass for our trip. We have now added Hiroshima and Miyijima onto our itinerary so the JR Pass will be good value. Hi Gabi, we’ve used a few different places to buy the pass over the years, most recently and the one we’d use again is ACP Rail although I just went to find the link and the booking part seems to be offline at the moment. I did a bit of research before buying online and at the time their reviews were good and our experience was good for price, ease and quick delivery. Our worst experience was our local flight centre unfortunately with us literally getting the passes the day before we left after many weeks of follow up, I now order early (but not too early) to avoid the stress. The base price is in Yen so depending on the exchange rate each distributor uses (many only update once a week or even less) and what markup and fees they add in it will vary so worth price shopping the places you are comfortable with. With Miyajima you can use the pass for the local train out there and the ferry, a couple of people we met had missed the fact it’s a JR ferry and had paid separately for their ferry ticket. Have a great time! Hi Gaby, I actually followed up with them when their site was still offline for purchasing last night and they’re no longer selling the JR Pass which is a shame. I was contacted a month or so back by another online seller that I will probably try myself next time but I don’t have another tested one to recommend. Sorry. Hi, really enjoy reading your posts. My family and I are travelling to Japan in October. We fly into Osaka (2 days) – Himeji – Kyoto (3 days) – Nagoya (2 days) – Tokyo (4 days) – Day trip to Hakone. We are unsure whether to purchase the JR Pass. We have been told individual tickets on a trip such as this will work out cheaper. We are two adults two children. Could you please advise your thoughts. Many thanks. Hi Gabi, as a general rule of thumb the JR pass works out about the same price as a return bullet train pass from Kansai (Osaka, Kyoto or Himeji) to Tokyo. Therefore most people will say going around Kansai then one way to Tokyo usually won’t work out cost effective. You can do the prices exactly based on hyperdia.com but I think in your case it would be very close but not worth while unless you think you may do other JR side trips or want the convenience. Working it out on one adult is roughly: Osaka to Himeji (Y4620) Himeji to Kyoto (5790) Kyoto to Nagoya (6000) Nagoya to Tokyo (11290) and the return trip Tokyo to Odawara (Hakone) Y7880 or about Y27700 total and a JR 7 day pass is about Y29000. This assumes using the bullet trains, an express for Osaka to shin Osaka and bullet train to Odawara both ways, it assumes you use no other JR travel in the 7 days. Personally for what you have described I’d pay for individual tickets and instead of using the bullet train for the Hakone day I’d get the Hakone pass we discuss in this post from Shinjuku station http://www.2aussietravellers.com/hakone-freepass-value/ which means you get all the transport around Hakone too for less than just the train trip. We used the bullet train on that only because we still had days left on it but given the quality of all the other transport covered by the pass I wouldn’t hesitate to use their train from Tokyo if we did it again. We still have South Korea on our wish list, sounds like you have a fabulous trip planned! You will be fine with the mid sized luggage on the trains, we have travelled with larger with no problems, especially with longer distance travel in the airport trains (Haruka Express from Osaka, Narita Express in Tokyo), bullet trains and limited express. The JR pass will cover the airport trains and the other side trips you want to do. We don’t find it much use in Kyoto or Tokyo themselves but in between and for the side trips it’s great. If you are planning to stay in each place rather than make day trips from a base I would probably head out to Hiroshima first to see there and Miyajima (pass also covers the ferry), then come back in for Kobe/Osaka/Nara/Kyoto section – they can easily be done from one base point if you have the JR pass and prefer not to spend to much time shuffling your luggage around between hotels. I’ll have a new post up in a few weeks on the JR Pass, when it’s useful and how to get the best value out of it which might be helpful for you. Have a wonderful trip. Hi, If I stay at one base, which base is better Osaka or Kyoto. we have 3 couples, so should I book hotel or apartment, which one is better and cheaper and how is washer and dryer there if hotels do not have one?and how is the weather in Spring, need thick jacket? and what is the best way to exchange currency there, ATM, bank,post office or at shop?I can buy the jr pass at the JapanRailPass . net website, is it correct one?and should I rent the wifi device? hope to see your post about jr pass soon. Hi Anh, We have stayed in both Osaka and Kyoto multiple times. For us Kyoto is normally our pick and we usually stay in Osaka for a night or two at a time but there are great food options there and plenty to see in the city, we just prefer Kyoto or Tokyo for a large city. We use hotels or serviced apartments like Citidine. We won’t use AirBNB in Japan as it’s against most peoples rental agreements and we don’t want that hassle on holiday when we speak so little of the language, we’ve heard both good and bad first hand experiences but as we travel as a couple not a group the other options work just as well for us. You’ll definitely want a jacket and dress in layers in spring, I’ve been known to wear a scarf too but I’m from a tropical climate, at other times just a long sleeved shirt is enough. We take a bit of cash to get started then get cash out at Post Offices and 7-eleven stores that are everywhere from our Australian Eftpos or a Mastercard that can access our bank accounts. Those machines have an English button like the train ticket machines whereas the bank ones usually don’t do English and often don’t take foreign cards even if you can read Japanese. Japan is very cash based so we carry more cash than we would at home but have felt safe doing that and not had any issues. That is a different website than we have bought our Japan Rail Pass through so I’m not sure about it. I’ll link our one in the post because we know they deliver quickly and it’s a smooth process. On the wifi device I haven’t used one over there as our hotels have had wifi included and you can always use a Starbucks if you need it while you are out and I haven’t found it a problem but I will probably get one next time to stay connected as we move around for convenience especially on the longer train trips. I’m back again to ask a question about luggage…how did you manage luggage on Shinkansen trains (say between Tokyo and Kyoto)? Some people seem to say you can only take carry-on luggage sized bags…what type/size of luggage do you recommend? Thanks! At the back of each carriage is a storage space for luggage, I think it fitted two big cases on each side. It doesn’t sound like a lot but we’ve travelled with luggage loads of times across our various trips and never had a problem getting a spot there because most Japanese use cabin bags that go above the seat. We usually made reservations for our longer trips and if I remembered I’d say that we had large cases and they’d sit us in the seat in front of the storage but otherwise it’s fine back there. The only time that was at all difficult was the Sapporo airport train during the snow festival – the most busy time of year for the city and it’s really cold so I guess people bring bigger bags but even then we managed OK. You can pay for a bag transfer service but I think that is usually next day delivery so we’ve always found it easy enough to take with us. Madly taking notes…! This is very useful, I look forward to the next installment. Where is the best place to buy ICOCA cards? Thanks for the feedback I’ll update the post too. Which card you get will probably be more guided by where you fly into and where you first want to use it. ICOCA is owned by JR West so is the easiest to pick up in Osaka, Kyoto etc while Suica is JR East and Pasmo owned by Tokyo railways and subway network so are usually the ones you come across in Tokyo. All are very useful and I’d use any. 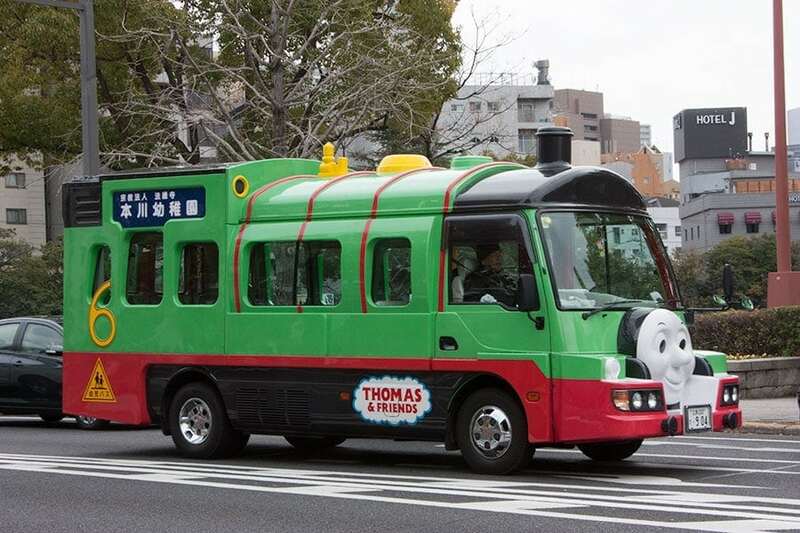 The benefit of ICOCA is that it also works on some smaller private buses and train networks where the others still don’t like the one out to Mt Koya or buses in Hiroshima and Nara, they are ones most people won’t use very often on their travels. Hope you’re enjoying the planning stage for the trip!